A week or two ago, I received a message from a reader asking about the influence diabetes has on my marriage. I took to Facebook to get some broader feedback, but the question forced me to drop into the weeds to see how my diabetes touches my marriage. This will be part one of a two part post, with today’s focus on the people in a relationship who have diabetes. How does diabetes affect marriage? Like many things in a marriage, diabetes is a big deal some days, not on others. Ebb and flow and all that crap. But the main takeaway is that once Chris and I were married, diabetes became “his,” too. That is a strange paradigm shift because diabetes was mine for many years. Diabetes put a noted strain on my pregnancies, and this became a family issue. The location and number of my medical specialists and the frequent visits to them became a priority like no other. Worries about my growing children were directly tied to my diabetes management, and this was a concern that Chris and I both shared. That, and I rode my blood sugars low a lot of the time during my pregnancies, which caused extra worry for Chris (like the time he came home when I was pregnant with Birdy, sitting on a stool and eating a fistful of glucose tabs, announcing through a mouthful that I was 29 mg/dL). And what I do for work orbits pretty tightly around diabetes, as well. Most of my writing gigs are diabetes-related, as are the majority of my speaking engagements. This makes diabetes come up in oddly detached ways during conversations with my husband, as though I work at a bank – a bankreas – when in fact my job and my disease are tightly intertwined. 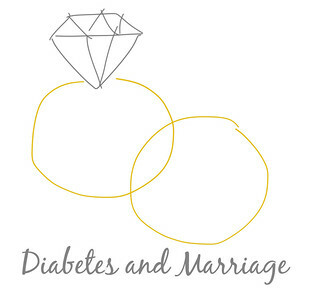 Living with a chronic illness can add a lot of perspective to a relationship, and plenty of the feedback I received was about how diabetes changes certain parts of a marriage for the better, and for the stressful. And I’ll chime back in as an over-sharer (hi, diabetes blog) online but more private about diabetes in the general course of my life. I think the diabetes community is where I process the majority of my diabetes emotions, with the most personal discussions still happening at home. I agree with Fatima on that one. Despite the heaviness that diabetes can bring, it puts even the most trying moments into a very healthy perspective. 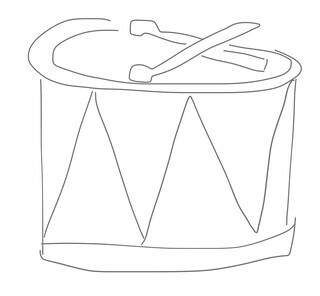 It’s not always easy to manage and I’m terrible at being consistently upbeat about life with this disease, but as far as its influence on my marriage, it is a drumbeat in the background, louder on some days, barely heard on others, but at least its rhythm is something you can still dance to. In Sickness and in Health: My Partner Has Diabetes. Sort-Of Guest Post: What Do You Wish Health Care Professionals Knew? Perspectives on Diabetes: Why Children with Diabetes Matters. Livongo Health: First Impressions of Their Meter. Always thought provoking. This time hammering home, that my dad was my only partner in diabetes. And the whole that losing him has left in my support system. Which I try valiantly to fill with help from the DOC and people like you. FOr me, DIabetes and RA are the 3rd and fourth entity in my marriage. Each is on equal footing, meaning some days Diabetes and some days RA runs the show. My wife married diabetes and of course, this crazy RA thing came along well after. I have always said that one of the biggest impacts of these have been leveling the playing field. We both have something in the marriage we can’t fully control. So yes it is difficult, but it is also a common enemy. Sometimes we all need a good SOB as the common enemy. I’ve been living with T1D for 46 years this month. I have been married for 3 years this month (first marriage) B4 he asked me to marry him, i went into DKA (first time ever!) I told him I didn’t know what happened, how it happened or if it would happen again. I told him I would understand if he left. He told me not a chance and asked me to marry him soon after. I share my G5 with him for lows, like Kerri, and he even calls me in the middle of the day/night to wake me up if he sees I’m low. I love sharing my diabetes with my husband! I was diagnosed with T2 within the first year of my marriage and it was harder for me than for my husband. I didn’t think that the “in sickness” part would come so soon. But, we are taking it in stride. It’s a part of our union and when diabetes demands attention, we give it and keep it moving.